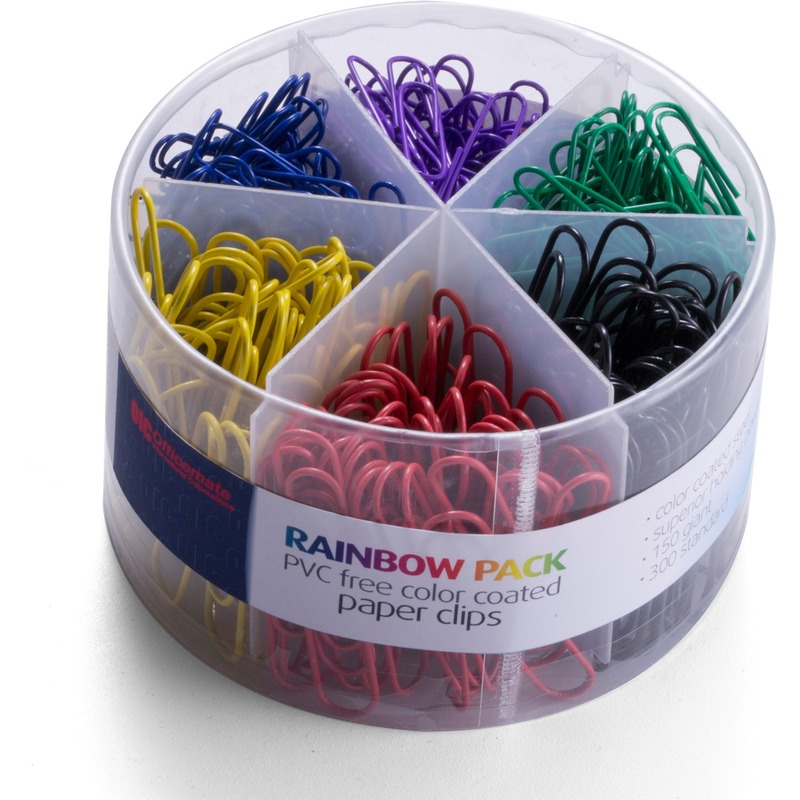 Coated paper clips are perfect for use at home, school or office and great for color-coding papers. 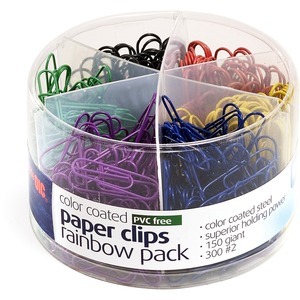 Paper clips come in assorted metallic colors and in two sizes: 150 Giant and 300 No. 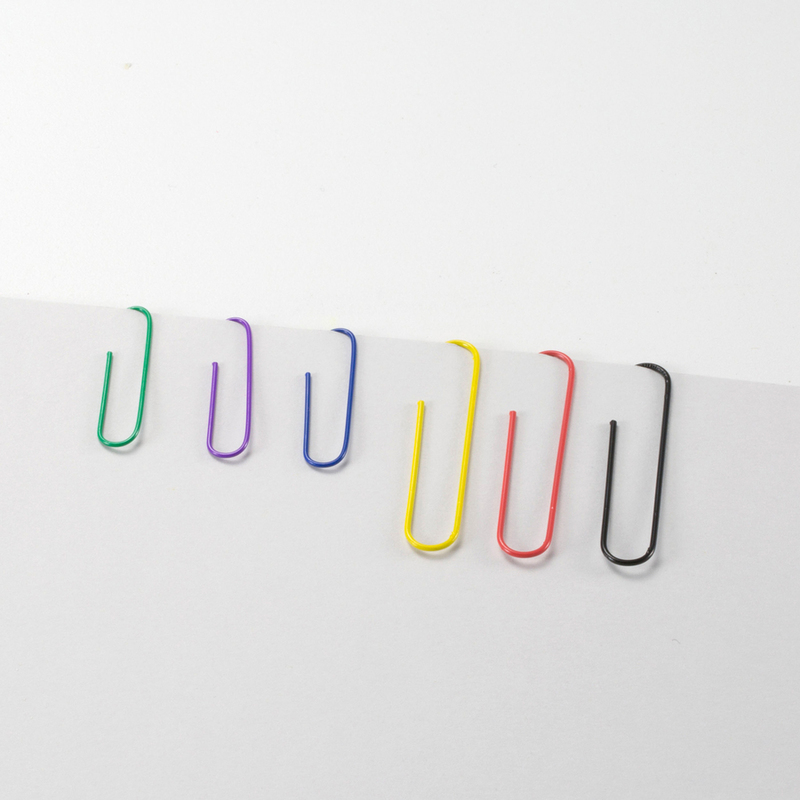 2 clips. 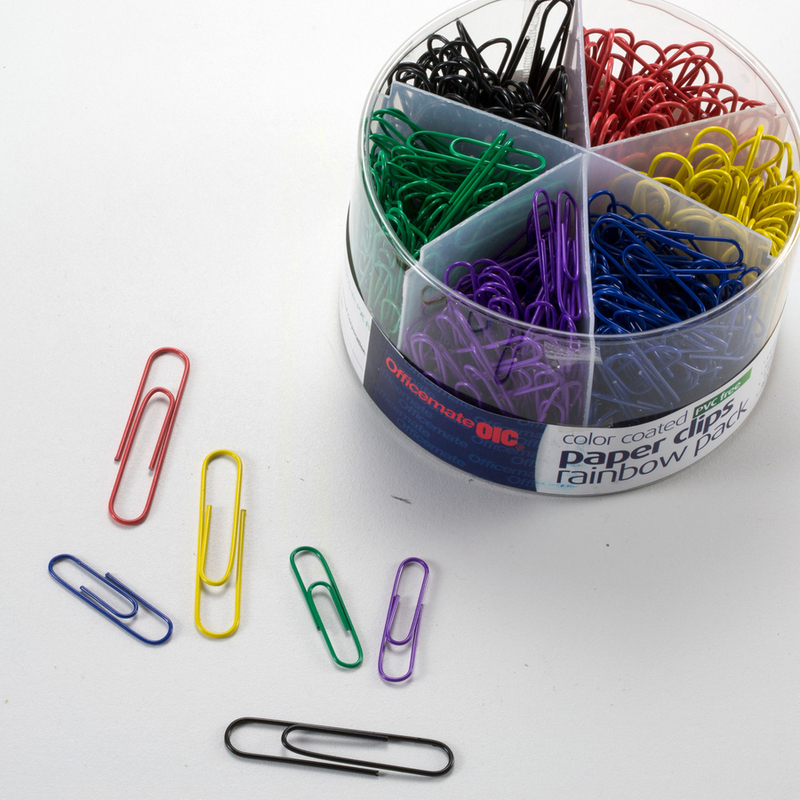 Six-compartment storage tub is reusable and made of plastic. 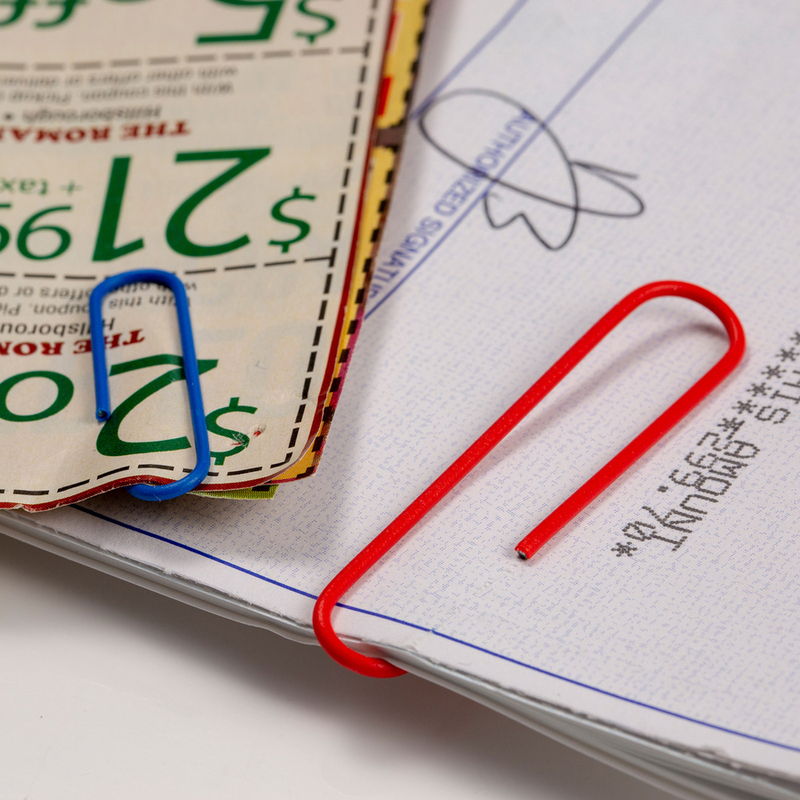 Manufacturer : Officemate International Corp.